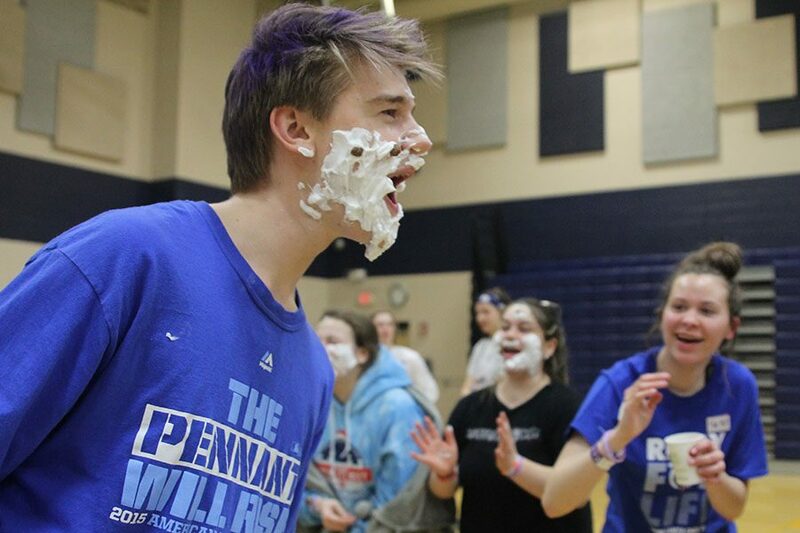 During the chocolate beard event, freshman student shows off his shaving cream beard to peers. Students participated in Zumba, Luminaria Ceremony, Midnight Pizza Party, Lip-sync Battle, and a Dance Party in the middle portion of the event. 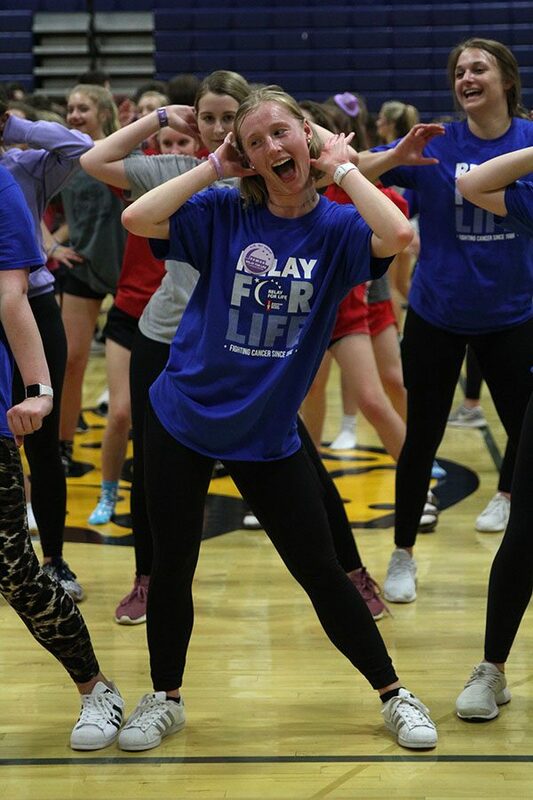 Senior Ally Klaudt particpates in zumba.